Knowing our history as women, and as craftspeople, is something I feel very strongly about. So much so, I spent 7 years researching the figure that I believe is the most widely formative for American textile crafters in the last half of the 20th Century. Working through the American Studies Department at Purdue University, West Lafayette, Indiana, I received my Doctorate with a dissertation on Elizabeth that explored her influence in turning hand knitting from mere pattern following to a creative practice capable of innovation and self-expression. 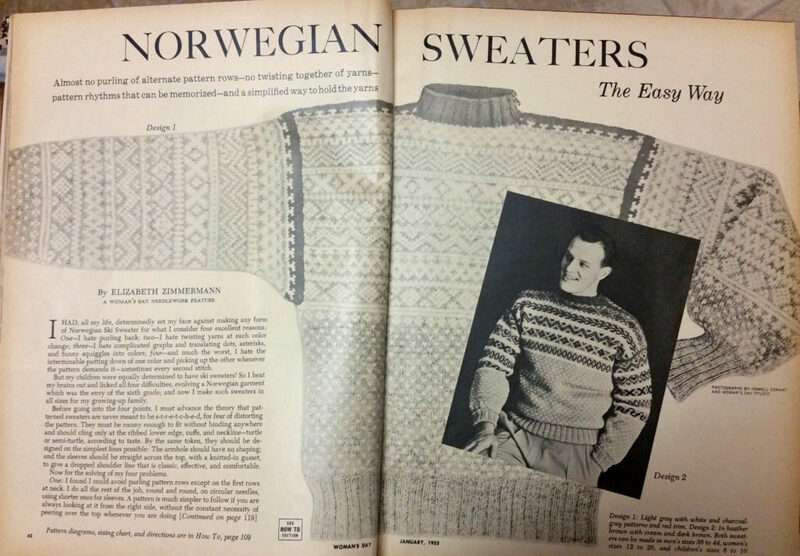 I thoroughly explored the cultural world of mid-century knitting through looking at books and periodicals, and researched Elizabeth in her own collection of materials at Schoolhouse Press, Marshfield, WI, and in interviews with her daughter, Meg Swanson. I’m available for presentations to various groups of knitters about Elizabeth Zimmermann and craft history-culture. 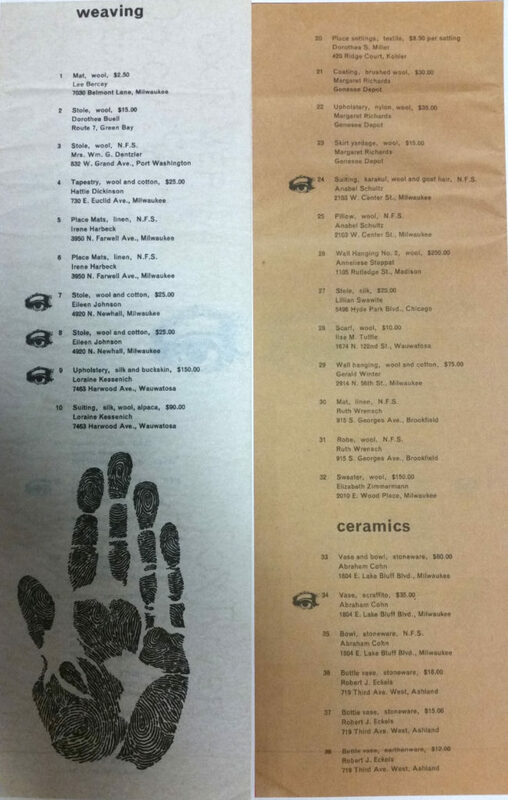 Elizabeth’s 1st design sale was a pattern and article to Woman’s Day Magazine, January 1955. A circular knit bottom up sweater with cut (steeked) armholes and in color patterns, it set the stage for Elizabeth’s future work in providing techniques and ideas beyond the typical presentation of sweater patterns, and encouragement to the ordinary knitter to try her own ideas out. Elizabeth worked hard for several years to be accepted into the professional Wisconsin Designer Craftsmen organization. Made up primarily of the academic crafts of wood, jewelry, metals, clay, and hand weaving, knitters had never been considered for membership. Her acceptance in 1958 was noted in a local newspaper as “a blow for knitting as an aesthetic art” and her sweater described as a worthy heirloom. Yet the organization truly didn’t know what to do with her work and placed her hand knit sweater into their ‘Weaving’ Category. Lilly Marsh Studios produces handwoven, hand dyed textiles, metal sculptures in textile techniques and public art. Lilly Marsh, PhD recently completed her degree in American Cultural Studies at Purdue University, with a focus on American Craft in the 20th Century. 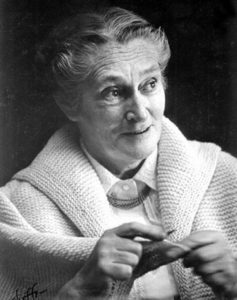 Her dissertation topic was the knitting designer, teacher, writer and publisher, Elizabeth Zimmermann. © All content copyright Lilly Marsh Studios. Glens Falls Web Design by Advokate, LLC.